The technology available to real estate agents today is incredible. You can provide virtual tours, collect e-signatures, and, of course, manage your contacts with customer relationship management (CRM) software. In addition to being a database of your contacts, a CRM is a tool for executing every step of your process: following up with leads, delegating tasks to staff and holding them accountable, communicating with clients and vendors, and creating and checking off To Do lists. The best part? You can automate all of this by using workflows. A workflow is an automated set of actions. These actions can be marketing activities (for example, posting to Facebook), lead nurturing actions (such as sending follow-up emails or SMS texts), task reminders (e.g. qualification phone call), and internal operations actions (such as applying tags to contacts or assigning tasks to staff). 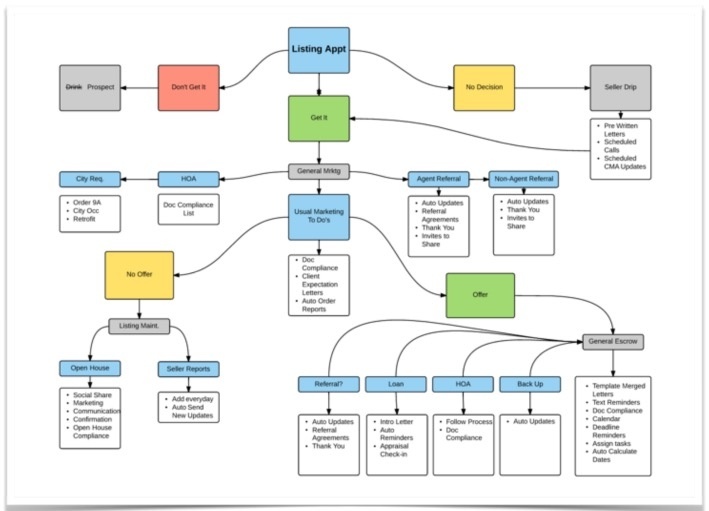 Within your real estate CRM, you might have 100+ workflows. There’s almost no limit to what you can do. You can have a workflow for listing marketing, for buyers in escrow, for follow up, for Internet lead generation, and so on. Workflows allow you to take every detail of your process, memorialize it on a digital platform, and program it to run automatically. You never have to worry about missing a step. So, what makes using workflows so great? Well, in addition to ensuring that you never go off-process, workflows save incredible amounts of time, giving you more opportunities to focus on your relationships. Many people aren't aware of the true depth and power of workflows. 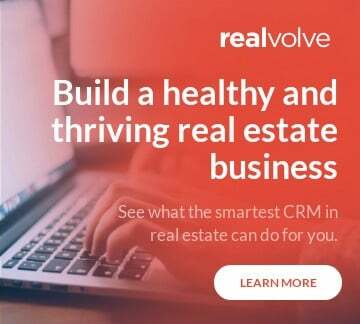 Below, I have revealed five reasons why using workflows within your real estate CRM will revolutionize the way you work. Let’s say you’re working with a property that requires you to obtain a natural hazards disclosure report. You call up your contact at the agency, make your request...and then talk about each other’s kids for the next 15 minutes. Or, in an attempt to save time, you decide to send a prewritten email. But you still have to plug in the property address, and you take 2 minutes to read it over before you hit send. Or you can set up a workflow to do it all for you. With a workflow, you can create an action that automatically generates an email requesting the report (using a merge field to plug in the property address) and schedules the email to send at the appropriate time. You don’t have to lift a finger. You never even see the email before it sends (so you aren’t tempted to proofread it). And you get back 15 minutes of your day. Or 2 minutes. All of the “quick” phone calls and emails you send throughout the day really add up. By automating them, you can save yourself hours of time each day. Workflows are basically your entire process mapped out within a software system. If you have everything set up properly, with notes explaining what each activity means, the learning curve for new employees is practically zero. 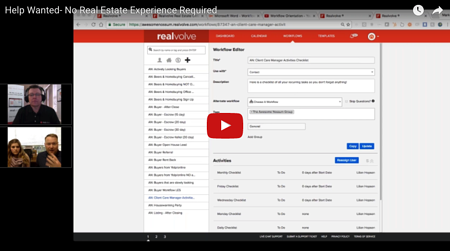 (Watch the thought provoking presentation on how somebody with ZERO real estate experience creates workflows and runs Realvolve successfully). You can set up a workflow to automatically delegate tasks to the appropriate employees. For instance, within a single workflow, you can have tasks assigned to your listing coordinator, marketing assistant, and yourself. This makes it much easier to hold everyone accountable for their responsibilities. Obviously, you can’t automate a face-to-face conversation or a phone call. But your workflows can send an email to your contact prior to the conversation, remind you to make the phone call or show up to the meeting, and provide you with a checklist of talking points to cross off during the conversation. Workflow activities can also be used to follow up AFTER a voicemail or phone conversation. A CRM is extremely useful for keeping track of important client details and moving people through your customer cycle. However, this requires a lot of data entry—something you were probably trying to get away from when you decided to become a real estate agent. The cold hard truth is that data entry and keeping your CRM up-to-date has become a big part of the real estate business. Fortunately, you can use workflows to greatly reduce the amount of typing and tagging you must perform, while making it even easier to move your clients through a lead cycle, a transaction, a listing, and long-term follow-up. When a digital marketing lead—such as a Zillow lead—is automatically imported into your CRM, it can trigger a workflow that will apply the appropriate Category (“Internet Lead”), add a tag to that contact (“Zillow”), begin a series of weekly prospecting emails, and add a phone call reminder to your calendar. All of these important actions take place, and you never have to lift a finger. As you can see, using workflows within your real estate CRM frees up a ton of time—time that you can spend building meaningful relationships. Workflows are also extremely valuable in keeping you on process. And that’s really what it all comes down to...relationships and process. That’s how you build and grow a successful real estate business. 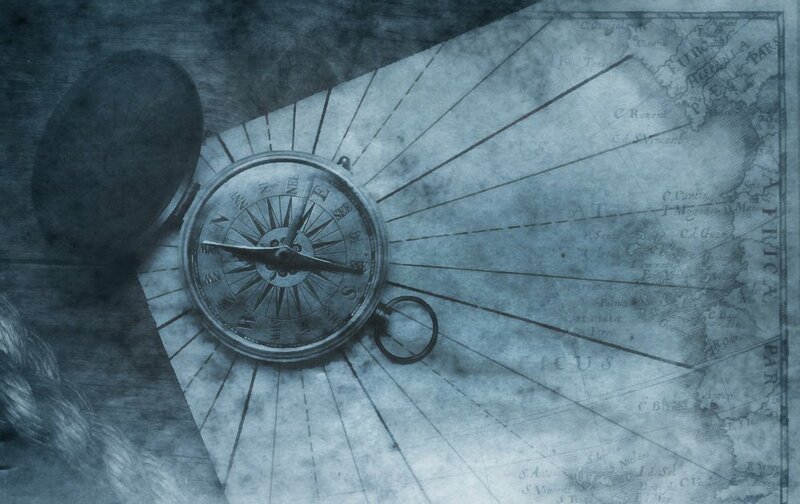 If you aren’t using workflows today, it’s time to get started. Are You Integrating Or Migrating To a New Real Estate CRM?